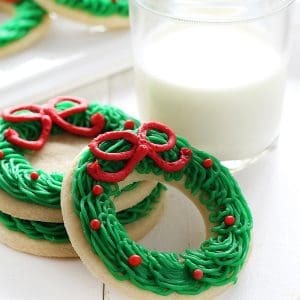 Creating a Sugar Cookie Christmas Wreath is fast, easy, and fun for everyone! I am sharing more tips & tricks for the perfect cut out sugar cookie recipe over here, even 2 different kinds of frosting to use! 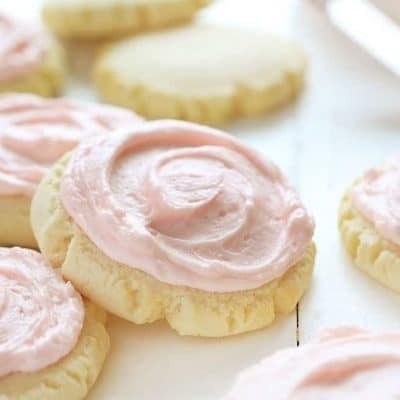 This is one of the easiest cookies I have ever made, but they are beautiful and fun! 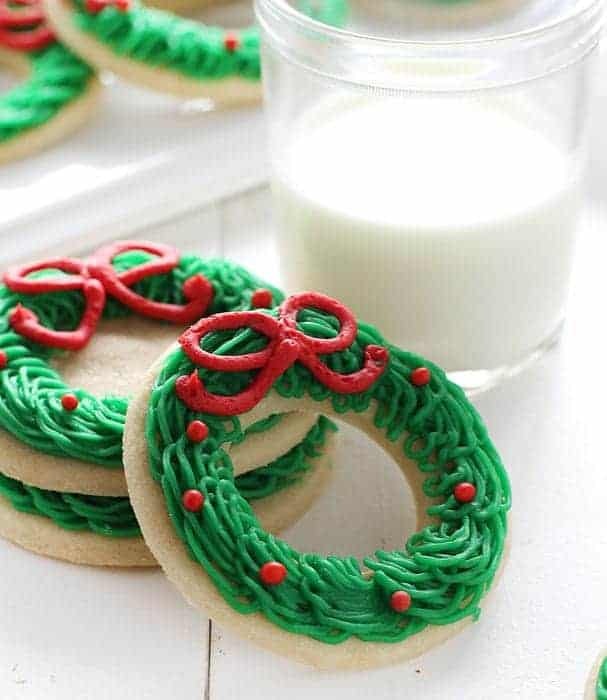 Begin by making your sugar cookies. 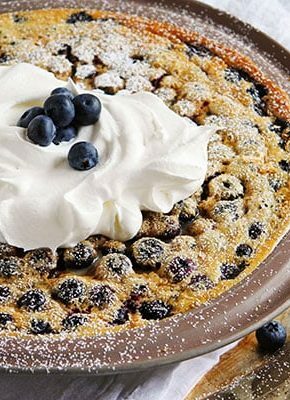 (Again, highly recommend the recipe above!) 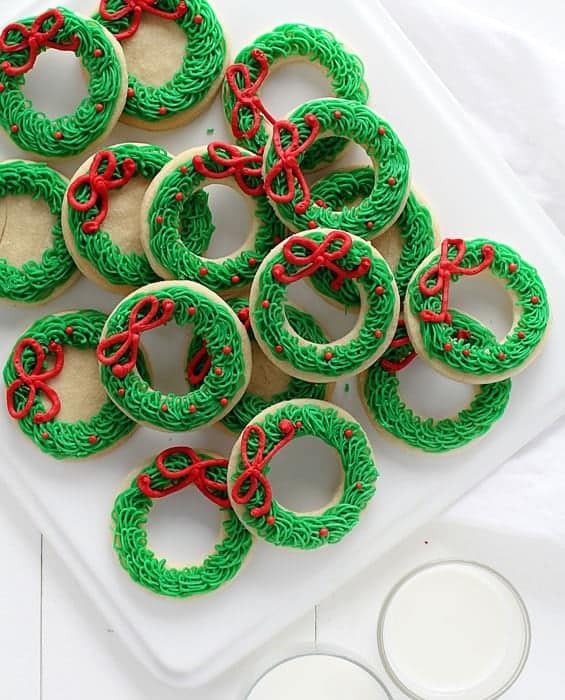 Using a round cookie cutter, cut out shapes and place on prepared cookie sheet. 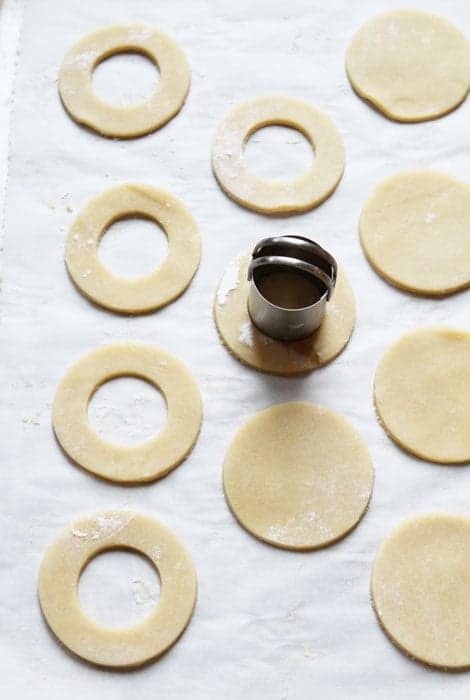 Using a smaller round cookie cutter, cut out the center portion. 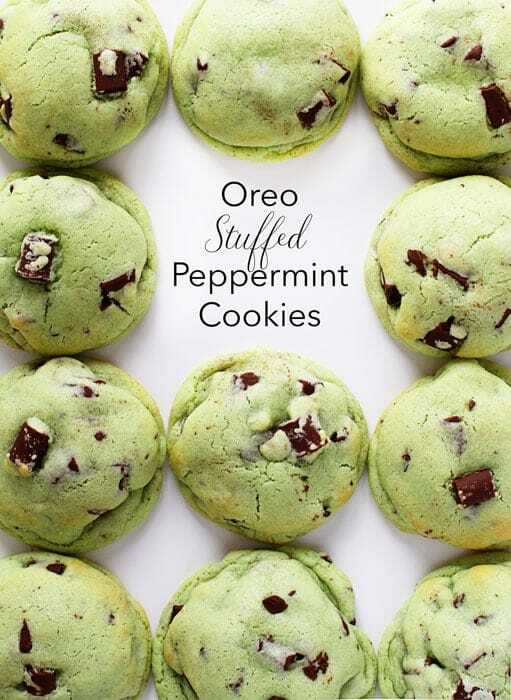 Set those on another prepared cookie sheet to be baked. BONUS TIP: If you do not have cookie cutters, use drinking glasses. A kitchen glass is the perfect size while a shot glass is a great size for the center portion. I chose to leave some of the centers in and remove some. This is just a personal preference. Bake cookies according to recipe direction. 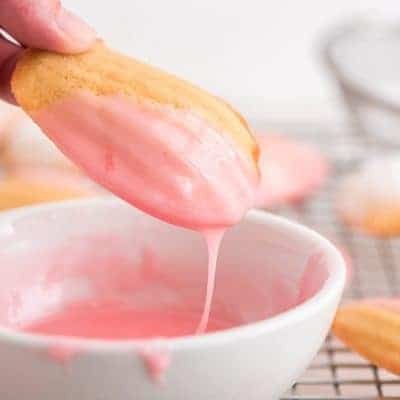 While cookies are cooling prepare buttercream. Start with a cooled cookie on a clean surface. 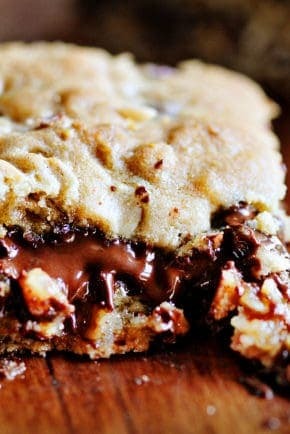 Do this around the entire cookie. 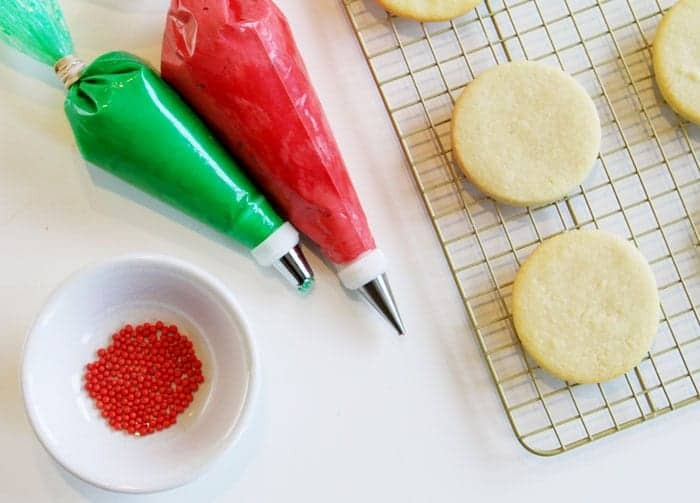 Gently place a small red ball (sprinkle) on the buttercream and repeat this around the entire cookie. If you cannot find any of these, feel free to pipe a small red dot onto the wreath. 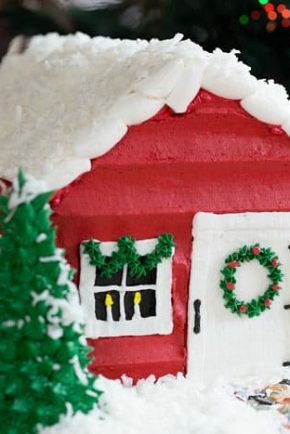 Pick up red buttercream and pipe out a bow on top of the buttercream. If you want to practice first, pipe out some bows on a piece of parchment paper. Repeat on the rest of your cookies! 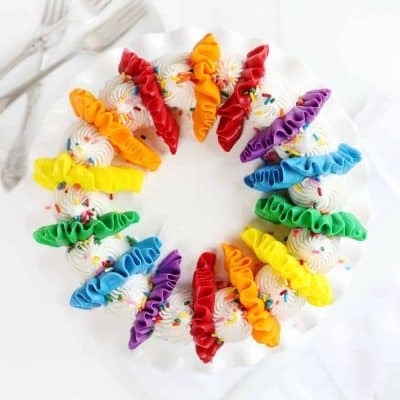 Creating a Sugar Cookie Christmas Wreath is fast, easy, and fun for everyone! 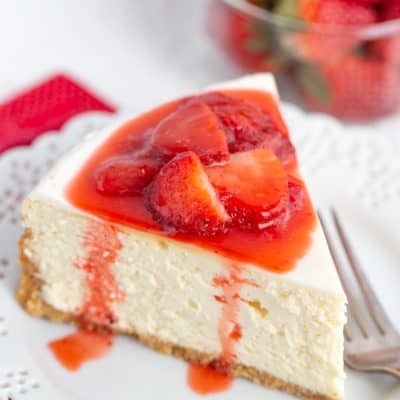 With mixer on low, slowly add in confectioners' sugar , milk, and salt; frequently scrape sides and bottom of bowl. 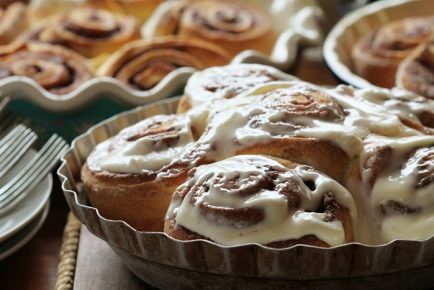 If frosting is too thick to spread, gradually beat in additional milk. Store in refrigerator up to 2 weeks. Rewhip before using. How fun is that? Hope you are enjoying your holiday season! These are just too cute, I love them! Awesome video tutorial too! These cookies are beautiful. 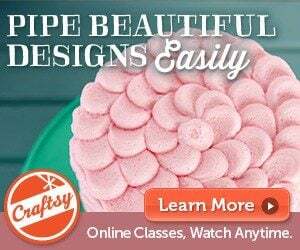 Love the video tutorial! These are so perfectly gorgeous! Love! Absolutely beautiful! The platter photo is stunning! 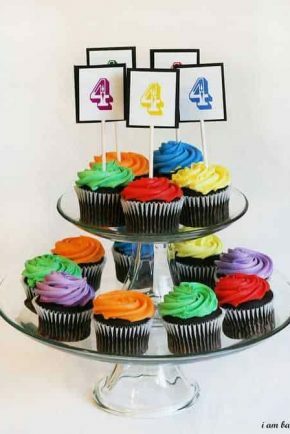 How well does the buttercream stand up to stacking/partial stacking? Is this your Russian tips you use? If so where can I order the set? I see that you stacked them in the picture. 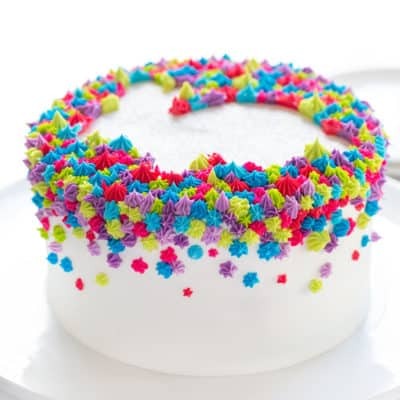 Does this icing dry to the point that you can stack and still keep the design? Thanks! These are darling! I have this tip but have never used it this way. I love it! What a great idea. Thank you! All of the recipes are fantastic. I want to make everything I see, because the recipes look so easy and delicious with simple, everyday ingredients. 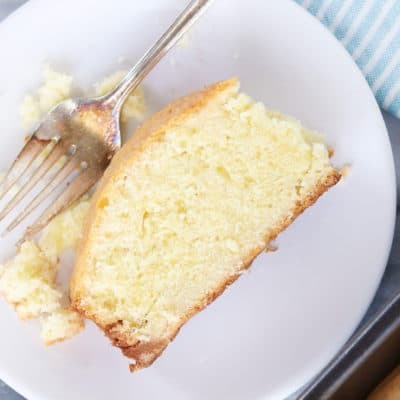 Would use this recipe if you want to share. 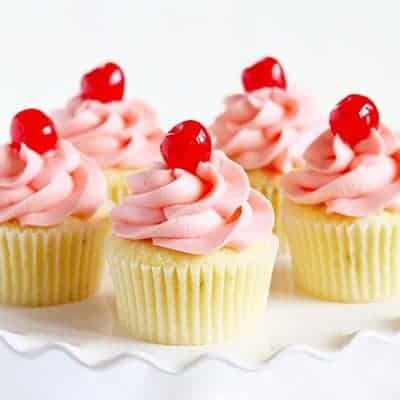 The recipe in this post is for buttercream. 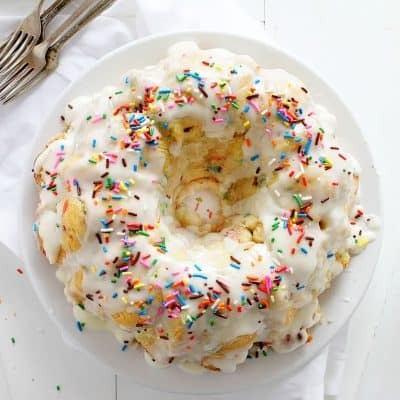 There is no flour in it.